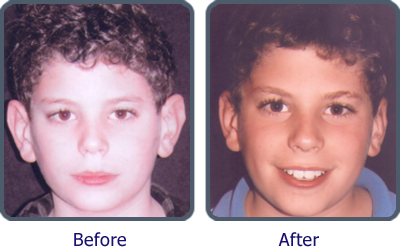 Otoplasty is focused on correcting a deformity associated with the ear or making it more cosmetically appealing. 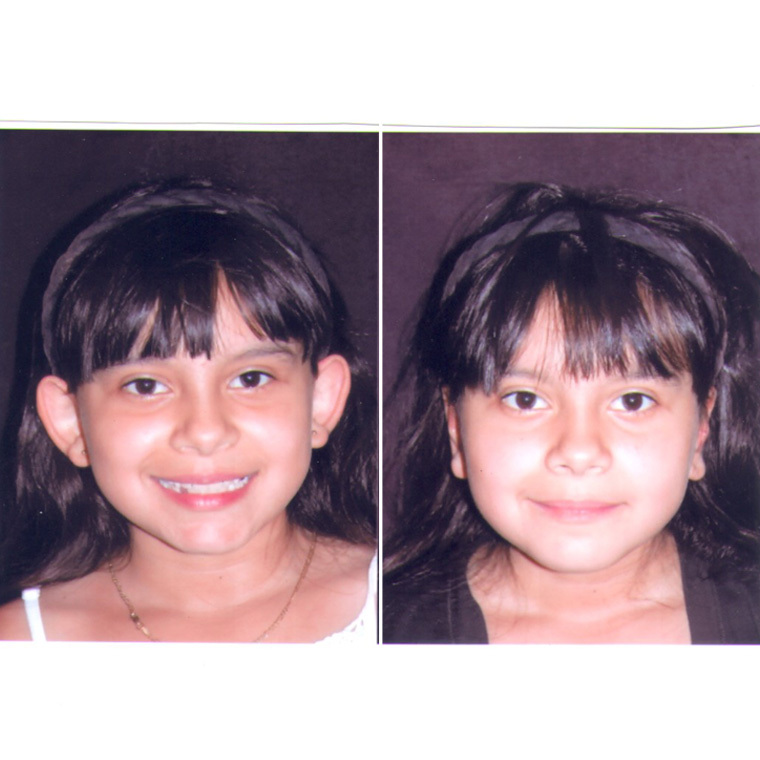 For most patients interested in otoplasty, a surgeon will first take a comprehensive medical history that includes notation of any birth defects or hereditary conditions that may affect the child’s (or an adult’s) growth. In adults and children alike, the surgeon will want to know what if any medications the person is taking and how often. Next, your surgeon will examine your ears, and identify the exact procedures needed to produce a pleasing appearance. Usually a surgeon then talks about the procedure, including the type of anesthesia used and recovery time. Typically surgery to correct protruding ears takes about two hours to complete. A parent must sign a consent form for a surgeon to work on a child’s ears. While children often receive general anesthesia to ensure their comfort, most surgeons prefer using a local anesthetic and sedative for adults, as the surgery is not complicated or unduly painful. First, the surgeon creates an incision behind the external ear, in the crease where the head and ear connect. This ideal location produces minimal scarring that most cannot see without straining. Next, the surgeon removes any excess skin or cartilage to help create an aesthetically pleasing and symmetrical appearance in the ear. There are times when a surgeon does not need to remove cartilage from the ear to create the desired outcome. Sometimes, a surgeon will only use stitches rather than remove parts of the ear to pin the ears and cartilage back into a permanent position. Finally, the surgeon applies sutures to keep the ear in place while it heals, and dressings to protect the ear from infection. For many, the results of surgery are dramatic. Patients often report improved self-confidence and esteem. 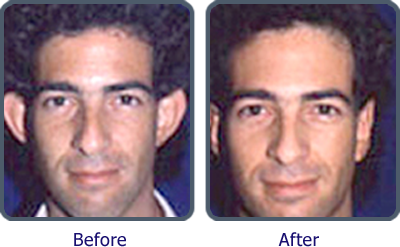 Many patients feel their appearance changes dramatically following otoplasty. Children no longer have to suffer unnecessary teasing because of the way their ears look. Few side effects occur following otoplasty for most patients. Some may experience mild pain; others may find their sleep is temporarily disturbed because they must sleep on their back to prevent damage to their new ears until they fully heal. Some surgeons provide headbands to patients to hold the ears in place for up to two weeks following surgery. Parents can help children select fun and decorative headbands while healing so children are more willing to wear protective headbands and allow their ears time to heal. Among the more common birth defects suffered by children are those involving the ear. Children may have hereditary defects, or suffer emotional problems because they feel their ear looks unnatural or larger than normal. The ear is by far one of the more interesting pieces of the facial anatomy. One of the more common birth defects suffered by children is one affecting the ear. 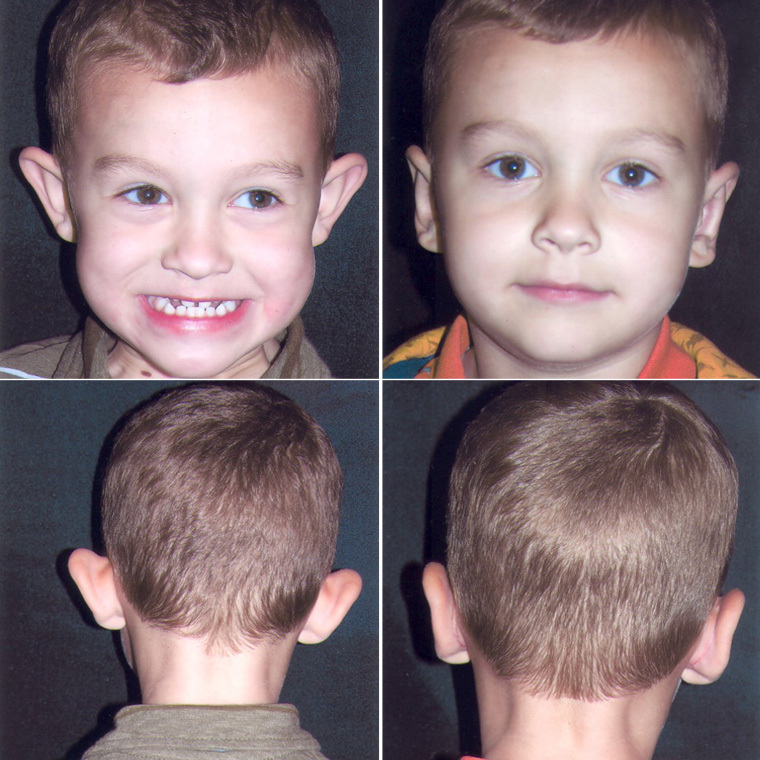 Microtia is a condition caused by a deformed or smaller than normal ear. Dr. Ruder developed an innovative surgical technique that enables surgeons to reconstruct a patient’s ear so they can enjoy a normal, healthy life. This surgery, unlike otoplasty, takes place over two years. As with any facial procedure however, patient’s often report extremely satisfying results. Otoplasty comes with relatively little risks. Most times a patient may have a tiny white or silvery scar left behind the ear. Otoplasty does not affect a patients hearing, though other surgeries to the ear, including surgery to correct mycrotia, may improve hearing. If you have an interest in plastic surgery to correct deformities of the ear, the best time to have surgery is while you are young. 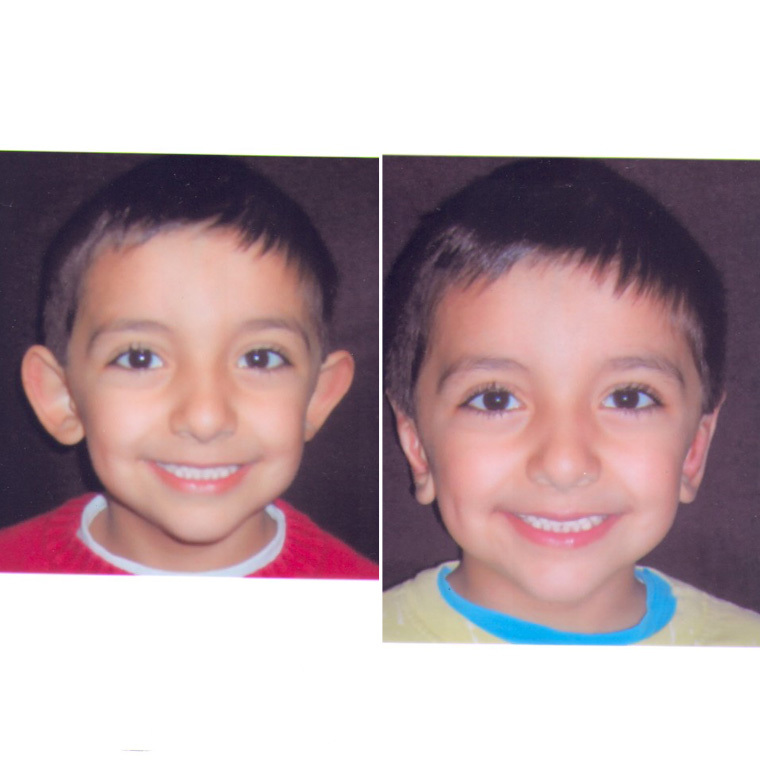 By the time children are six years old their ears are usually fully developed. This is an ideal time to perform corrective surgery, and prevent years of unnecessary teasing and emotional distress. Regardless of the age one is when taking advantage of plastic surgery including otoplasty, important to recovery is full knowledge of what the results will be, and a positive, upbeat attitude. Studies show patients with positive attitudes are more likely to express improved self-confidence and joy following surgery when they go into it with a good attitude. When considering otoplasty to improve the look of your ears and face, make sure you greet your surgeon with a smile! Incisionless techniques can be used to correct many minor deformities without any incisions for quicker recovery times. Many patients are candidates for incisionless otoplasty. Using techniques of “threading” sutures, correction can be achieved without any incisions or cutting into the ear.  The ease and predictability of this procedure makes this a very sought after method of correction. The recovery time is shorter and swelling is less for this incisionless otoplasty as compared to traditional methods.